today perhaps a little about our Polish winged hussars and their armor - via Radoslaw Sikora's book - 'Husaria w Walce'/The Winged Hussars in Combat - chapter on the hussar armor versus period's firearms p.30-52. Winged Hussar armor, especially the breastplate, was 1.8 to 9 mm thick (winged hussar retainers wore the thinner armor, naturally ), the center being the thickest, and was made from a piece iron worked over by a blacksmith or armorer. 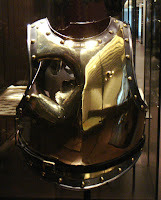 Perhaps the XVII century cuirass was of the best quality and thickness when comes to standing up to a pistol of musket shot, but the examples I am going to give have to do with artillery fire and its impact, which is most likely the extreme of the battle experience for any soldier. There are more than several examples from the sources giving us a glimpse into their battle experience and life-saving quality of their armor versus the canonfire; so let me start with the following event, rather gruesome and miraculous at the same time, from a hard fought engagement between Lubar and Cudnów that took place during the Polish-Muscovite war of 1654-69. Prusinowski, winged hussar companion of the field hetman, suffered a damaged front plate of his armor that had been hit by a cannon ball [sic! ]; [it was] a great wonder that the ball did not damage [his] body. Pułkownik Leszczyński dodał, że dziura w zbroi Prusinowskiego była „Tak wielka, żeby ręka wcześnie się w nię skryła”. Hence, apparently pan Prusinowski physically survived this life-threatening event to fight on. In this case I am wondering whether his cuirass had a big concave indentation large enough for a cannot ball to fit in, and then a human hand to go inside, but the iron cuirass plate was not pierced and the ball being spent harmlessly fell to the ground? Or the cuirass was pierced by the cannon but somehow the cannonball stretched the plate and fell harmlessly down having been spent? 30 sierpnia 1633 roku, w jednego z husarzy z roty wojewody smoleńskiego Aleksandra Gosiewskiego uderzyła kula armatnia. Zbroja wytrzymała to uderzenie, choć pozostało na niej wklęśnięcie. Kula ześlizgnęła się po zbroi i zgruchotała husarzowi rękę. 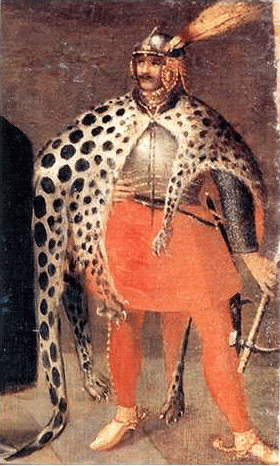 on August 30, 1633 an enemy cannon ball struck one of the winged hussar[companions] of the Smolensk Voivode Aleksander Gosiewski's banner. His armour withstood the hit, but it was dented/had an indentation where the ball hit. 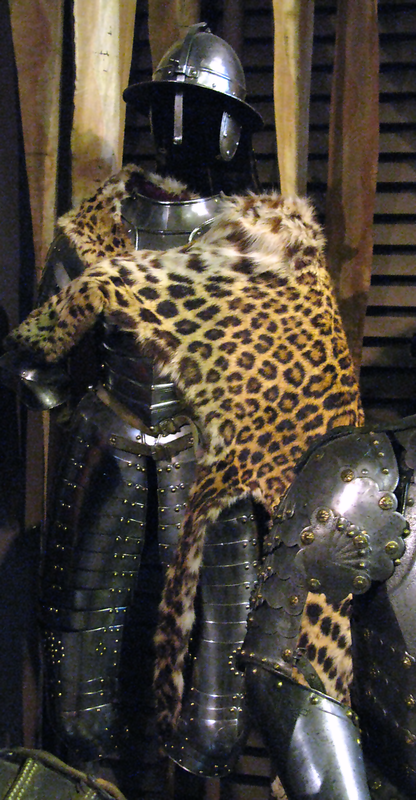 Then the slightly spent cannonball slid across the armor and ended shattering hussar's hand or arm. Apparently this solider lived, albeit injured. A different winged hussar[companion], this time from the chorąży Michał Wojna's banner, was struck by a cannon ball at his head, protected with his winged hussar shishage helmet, so indeed the helmet withstood the direct hit by the enemy cannon, but the hussar's head did not, and so he was died instantaneously from the impact (Diariusz kampanii, pp.204-205). 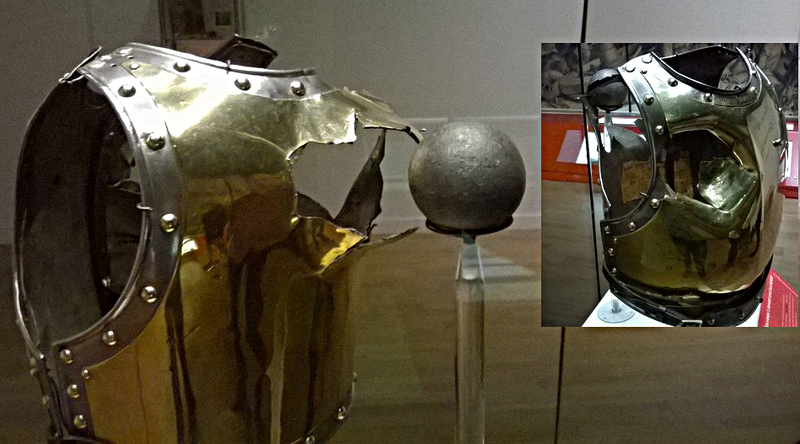 Surviving examples of firearms impact on the armor - a XVII century cuirass with a musket ball indentation from Livrustkammaren, in Sweden. Another XVII century cuirass with a hole inflicted perhaps by a musket ball from the same museum, apparently must have caused a mortal injury to a wearer. Yet another cuirass, perhaps a pistol shot or a smaller caliber weapon. this soldier survived the shot, with his cuirass dented by a musket ball? The following images are from the Napoleonic period cuirass pierced by a cannonball - mass produced cuirass of the French cuirassiers and carabiniers (Waterloo 1815) - poor carabinier-à-cheval named François-Antoine Fauveau age 23 was the wearer of this armor.